Facing annihilation at the hands of the warlike Vogons? Time for a cup of tea! Join the cosmically displaced Arthur Dent and his uncommon comrades in arms in their desperate search for a place to eat as they hurtle across space powered by pure improbability. The unhappy inhabitants of planet Krikkit are sick of looking at the night sky above their heads - so they plan to destroy it. The universe, that is. Now only five individuals stand between the killer robots of Krikkit and their goal of total annihilation. 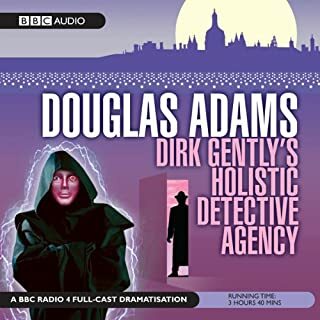 Back on Earth with nothing more to show for his long, strange trip through time and space than a ratty towel and a plastic shopping bag, Arthur Dent is ready to believe that the past eight years were all just a figment of his stressed-out imagination. 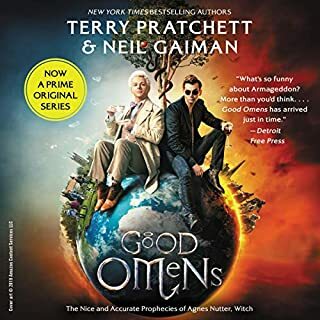 But a gift-wrapped fishbowl with a cryptic inscription, the mysterious disappearance of Earth's dolphins, and the discovery of his battered copy of The Hitchhiker's Guide to the Galaxy all conspire to give Arthur the sneaking suspicion that something otherworldly is indeed going on. It's not just a trilogy any more. 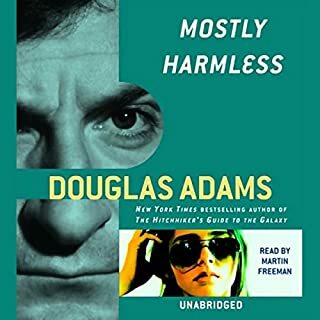 In the fifth book of this popular series, Arthur Dent makes the terrible mistake of starting to enjoy life, and immediately all hell breaks loose. 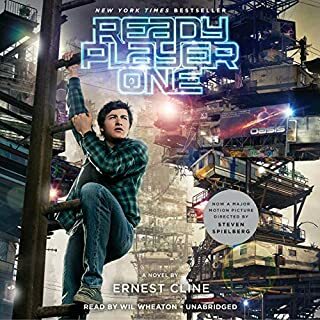 In short, it's up to him to save the world from total multi-dimensional obliteration, the Guide from a hostile alien takeover, and the daughter he never knew he had, from herself. A tall order, to say the least. And one he's really not up to, thank you very much. Together this dynamic pair begin a journey through space aided by quotes from The Hitchhiker's Guide ("A towel is about the most massively useful thing an interstellar hitchhiker can have.") and a galaxy full of fellow travelers: Zaphod Beeblebrox, the two-headed, three-armed ex-hippie and totally out-to-lunch president of the galaxy; Trillian, Zaphod's girlfriend (formally Tricia McMillan), whom Arthur tried to pick up at a cocktail party once upon a time zone; Marvin, a paranoid, brilliant, and chronically depressed robot; and Veet Voojagig, a former graduate student who is obsessed with the disappearance of all the ballpoint pens he bought over the years. Where are these pens? Why are we born? Why do we die? Why do we spend so much time in between wearing digital watches? For all the answers stick your thumb to the stars. And don't forget to bring a towel! ©1980 Serious Productions Ltd (P)2005 Random House, Inc. Random House Audio, a division of Random House, Inc. So happy to have finally had such a stupendous introduction to Douglas Adams. Highly recommended! WOW. WOW. This is really amazing. You better hope you have free time when you start this book, or you'll hate yourself for never finishing it. Made me go buy a new towel.... I washed it with a gel pen...... 0/10. 2nd time listening to this book. Amazing performance, love the voices. Highly recommend this one. Stephen Frye is a wonderful actor, and his voice is what made this book the ultimate listen!! 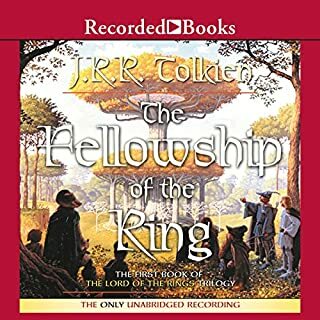 Can't wait to get into my next audio book! The narrator was very good. I am pleased with the story and surprised at how quickly I finished this story. the story itself was not necessarily one I would have actually read but I am glad I listened to it. 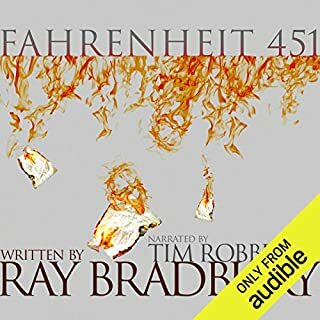 This was my very first audiobook I've ever listened to. I think it's going to be hard to top. Fantastic, hilarious, and deeeeep (philosophical). I would (and have) tell anyone ever to listen to it. I got weird looks on the bus whenever listening to it because I was laughing so much. I like everything Douglas Adams writes. This is the first I read in his Hitchhiker series, I quickly read the rest. I have Douglas's narration of the Book which is a joy - and Now I Have Stephen Fry's which polishes the Diamond. First - Rest assured this is a just a reissue of the original - Not a book of the Film. 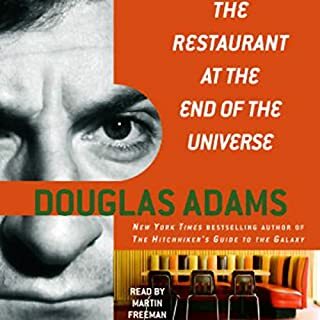 The Film was Ok but not nearly true enough to its sources (Radio Play, Book, TV series - in that order) - This book brings the voice of Fry - who is an excellent narrator (and a close friend of DNA's) into the mix. 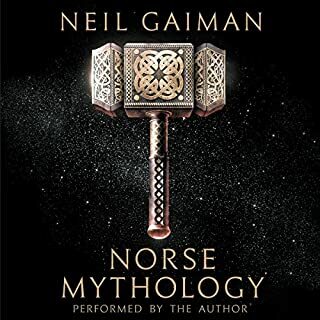 He brings more life to the book than Douglas did (Douglas was a great speaker - but when it comes to narrating entire books his performance has high and lows) and I recommend this to all. If you havn't heard the story before - First buy the radio series then go back to the books. Buy Fry's narration then go to Douglas' - you will get the best experience that way. it's possible i could listen to stephen fry read the phone book and be pleased, but this is such a wonderful book as well. wickedly funny and imaginative. 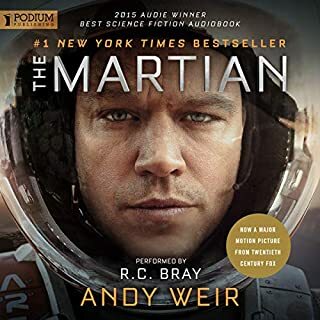 I enjoyed the audio book very much. 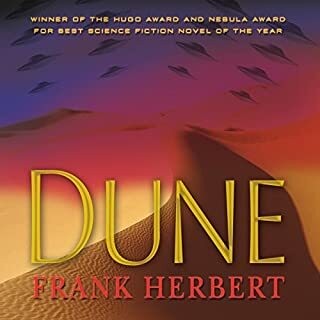 I don't know why, but years ago I tried to read the book but couldn't get through it. Have not seen the movie. 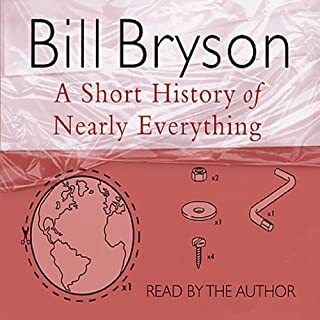 If you like british humour like Monty Python you'll like this book and the audio version as well. I have not heard the earlier version by the author but I would definately listen to something else read by Stephen Fry. This book made a long 6 hour drive much more enjoyable. Thanks. 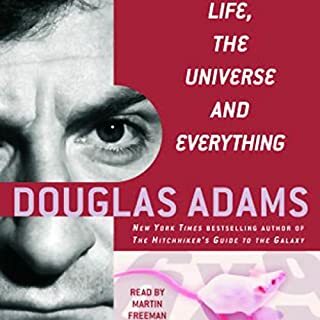 This was my first Audio book...a friend told me I should choose a book that was not to long, and recommended The Hitchhiker's Guide to the Galaxy...I loved this book...Absolutely Outstanding. The story was fun to listen to. The speaker is also excellent. I have since purchased all of Douglas Adam's stories. Great Read. 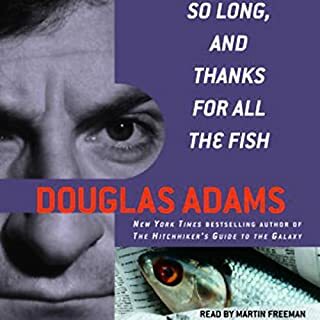 I'm sure you already know this book is Hilarious, but having Stephen Fry as the narrator takes Douglas Adams' wonderful work to a whole new level. It's like having an entire chocolate cake served to you on a solid gold platter by Sara Lee herself. 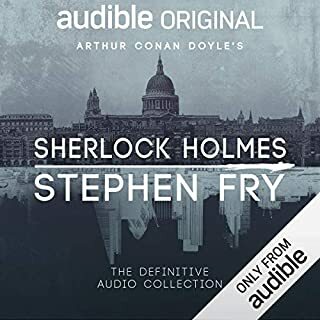 I already owned this audiobook, but I had to buy it again just to hear it read by Stephen Fry. Still an awesome, funny, all time classic. Well read by an easy to understand british gentleman. Awesome quality, great story. Very easy to visualize from the way it's read. 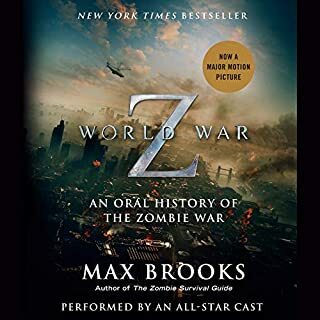 I have read 3 versions of the book, seen the original BBC mini series, the newer movie, and heard several radio broadcast versions and this is definetly one of the better ones. Well worth anyone's time and money whether it's your first time hearing this story or your 100th. It's funny, intriguing, unique, and just an all-time SciFi classic. Truly enjoyable from start to finish. Bring Back the Adams-Narrated Earlier Version! If you've seen the movie, you ain't seen nothin' yet! 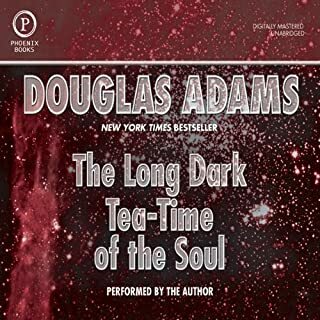 The book is an exceptional one to listen to IF YOU CAN FIND THE VERSION NARRATED BY DOUGLAS ADAMS. 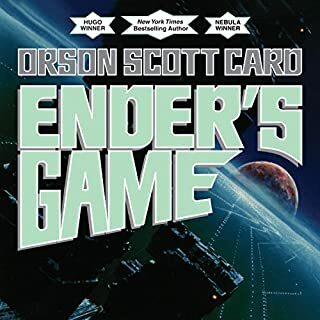 And the one currently offered by Audible.com isn't it. 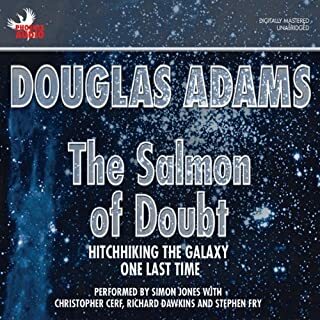 Stephen Fry's a wonderful actor, but he's nowhere near as wonderful as Adams is as the narrator of his own work. 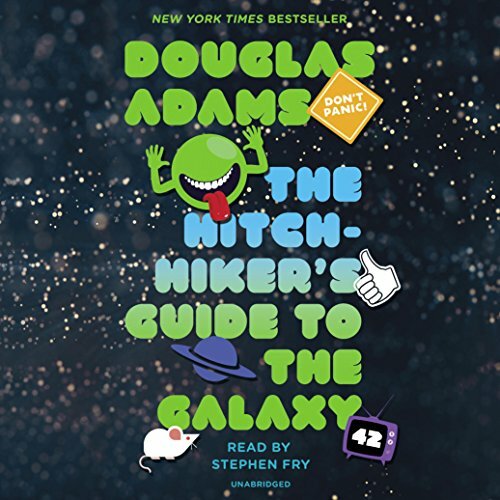 As a side note, Audible.com DOES carry the Adams-narrated versions of the rest of the Hitchhiker's Guide "Trilogy". The material is truly inspired. Philosophical and down to earth (so to speak). If you've got a post-modern sense of irony but find phrases such as "post-modern sense of irony" pretentious and yawn-worthy -- you've found your pick. It's delightful from start to finish, and offers more food for thought than you might imagine.